HCM City (VNA) – A stronger marketing strategy coupled with substantial improvement in tra fish quality is needed to bolster the export of the fish as rough seas are still ahead for this product, experts said. 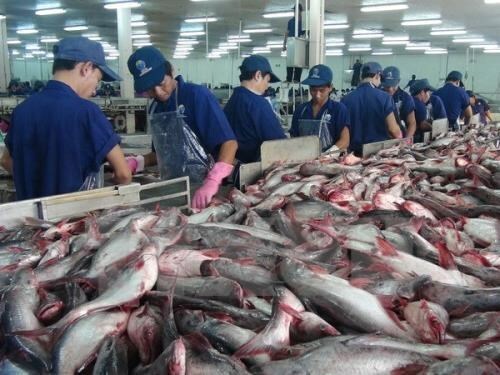 Incorrect and defamatory information broadcast by foreign media hurt Vietnamese tra fish exports in the second quarter of the year, To Thi Tuong Lan, Deputy General Secretary of the Vietnam Association of Seafood Exporters and Producers (VASEP), said. The smear campaign targeting Vietnamese tra fish resulted in a decrease in the shipments to many European countries in Q2. Exports to Spain experienced the sharpest fall of 67 percent in the period, she added. However, the situation has improved greatly in the third quarter, after a series of actions taken by domestic tra fish exporters. They set up websites in Spanish, English, Dutch and Italian to provide their target consumers with sufficient information on fish products, from cultivating to packaging processes, as well as nutrition ingredients in each product. Facebook, Twitter and Instagram also served as effective channels to persuade foreigners to choose Vietnamese tra fish. The moves help Vietnamese tra fish export gain a year-on-year increase of 8.2 percent to over 1 billion USD in the first eight months of the year. Shipments to the EU went up 23 percent, China 43 percent, Brazil 58 percent and the US 8.4 percent. Along with improving prestige for Vietnamese tra fish through the media, scientific articles and research papers published internationally also play a crucial role, Lan highlighted. “There are only 21 articles about Vietnamese tra fish made public on foreign websites and media system while the number of those on the US cod is over 2,000”, she said. On the other hand, to ensure fish product quality, the Government has also issued Decree 55/2017/ND-CP regulating standards for tra fish farming, processing and exports.